Come join us on a South Texas Quail Hunt. We offer a great quail hunting package that is enjoyable yet reasonably priced. We hunt ranches located near Pleasanton, Pearsall, Hebbronville, Dilley, Charlotte, and Cotulla, Texas on over 15,000 acres. 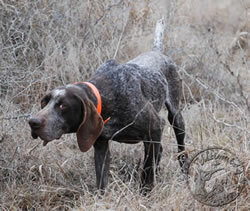 Click Here for the packages and prices for the 2013 -2014 quail season. Season opens in late October and runs through late February. Contact us at 210-260-3355 for more information or e-mail us. Prices are subject to change. We are taking reservation for the 2014 - 2015 quail hunting season. Visit our quail hunting packages section for additional quail hunting options.